Ph.D. in mathematics, Universitat Autònoma de Barcelona, 1988. Postdoc at Department of mathematics, Ohio State University, columbus, Ohio, 1989-90, and Mathematisches Institut, Heidelberg, 1990-91. 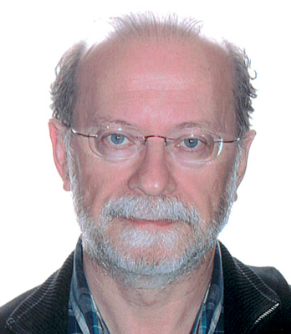 Associate Professor, Departament de Matemàtiques, Universitat Autònoma de Barcelona, 1992-2004. Professor at same Department since 2004. C. Broto, R. Levi, B. Oliver, Homotopyequivalences of p-completedclassifyingspaces of finitegroups, Invent. Math. 151 (2003), 611–664. C. Broto, R. Levi y B. Oliver, Thehomotopytheory of fusionsystems, J. Amer. Math. Soc. 16 (2003), 779–856. C. Broto, N. Castellana, J. Grodal, R. Levi, B. Oliver, Subgroupfamiliescontrolling p-local finitegroups, Proc. London Math. Soc., 91 (2005), 325– 354. C. Broto, R. Levi, and B. Oliver, Discretemodelsforthe p-local homotopytheory of compact Lie groups and p-compact groups, Geometry&Topology 11 (2007), 315–427. C. Broto, J. Møller, B. Oliver, Equivalencesbetweenfusionsystems of finitegroups of Lie type, J. Amer.Math. Soc. 25 (2012), 1–20.